The Board of Directors oversees the development of the Bank's overall business strategy and the decisions made by senior management in the pursuit of strategic objectives. The Board of Directors assesses both the appropriateness of the strategy, its probability, and even the extent of its success. The Board of Directors is composed of nine real members. The majority, represented by eight members, are as follows: six are independent members and two are non-executive members. This composition helps in strengthening the objectivity of the Board's monitoring and revision of activities. It also enables the members to allocate the necessary time and effort to fulfill their responsibilities. Although it is not required by local regulations to separate the roles of the Chairman and the General Manager (CEO), the Board has nominated a separate senior Executive General Manager (EGM) to carry out many of the executive responsibilities vested in the General Manager’s role in order to achieve the appropriate checks and balances. Mr. Hariri is the Chairman of Bankmed SAL and its subsidiaries: Saudi Lebanese Bank, MedInvestment Bank, Al Mal Investment (Holding) in Lebanon as well as BankMed Suisse in Switzerland and the Chairman of GroupMed International Holding Limited in Dubai. He is also the Chairman of Oger Telecom in Dubai, Ojer Telekomünikasyon, Türk Telekom, TTNET, and Avea Illetisim Hizmetleri in Turkey. Mr. Hariri is a member of the board of directors of the Association of Banks in Lebanon. He has over 35 years in the management of Hariri Group companies in the fields of Banking and Finance, Telecommunication, and Investment. 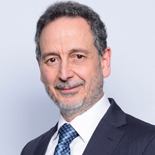 He was previously the Chairman of GroupMed (Holding) from 2005 until 2017. He also served as the Chairman of Cell C, South Africa between 2013 through 2017. Mr. Hariri had served as a board member at various insurance and telecommunication companies as well as other companies in the field of finance and international investment. He was a member of the board of directors of Arab Bank PLC, Jordan and a member of Deutsche Bank PWM Middle East and Africa Advisory Board. Mr. Hariri holds a Bachelor’s degree in Business Administration from the University of Ottawa, Canada. Mr. Raoul Nehme holds the Executive General Manager position at Bankmed since June 1, 2018. He enjoys a long-standing experience in the banking and financial domains and had occupied, within this context, a number of positions including the chairing of the Executive Committee of AstroBank Ltd (Cyprus), and the role of General Manager of BLC Bank (Lebanon). He also participated as a member of the Board of Directors of the above mentioned banks in addition to USB Bank (Cyprus). 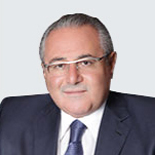 Prior to joining Bankmed, Mr. Nehme had formerly joined Nipson Printing Systems SA, Groupe Bull (USA & France) in 1982. Nine years later, he was appointed President of Nipson Printing Systems Inc. in the United States. Mr. Nehme also enjoys an extensive previous experience in various domains, including real estate, manufacturing, technology, etc.. Mr. Nehme’s commitment to sustainable development led him to be the Founder and President of Jouzour Loubnan, a non-profit organization whose mission is to participate in the restoration of Lebanese woodland and to promote sustainable forestation in the arid regions of Lebanon. Born in 1956, Mr. Nehme holds a degree in Engineering from Ecole Polytechnique de Paris (France) with a major in Economics in addition to an Engineering degree with a major in Scientific Management from Ecole des Mines de Paris (France). Mrs. Nazek Rafik Hariri, the wife of H.E. late Prime Minister Rafik Hariri, is the Vice Chairman of GroupMed Holding SAL in addition to being a Board Member of Bankmed SAL and Arab Bank PLC. She is also Member of the Board of Cleveland Clinic , the President of the Rafik Hariri Foundation as well as the President of Rafik Hariri University and several other humanitarian, cultural, and educational institutions in the Lebanese Republic and in the Gulf region. Mrs. Hariri is the First Ambassador of the International Osteoporosis Foundation and the President of this Foundation’s 206-A Bone Fund. She is the President of Nazek Hariri Welfare Center for Special Education; President of the Beirut Festivals Association; Vice President of the Chronic Care Center, Lebanon; Member of the Board of Trustees of the Children’s Cancer Center, Lebanon; Member of the “Nahda Philanthropic Society for Women”, Saudi Arabia; Member of the Board of Trustees of the “Welfare Association", Member of the Board of Trustees of Jordan Education Association as well as Co-Chairperson of the Rafik Hariri UN-Habitat Memorial Award. Maître Yared is an attorney at law, with law offices in Beirut and is the Vice Chairman to the Chairman-General Manager of the Bank. He is also the Chairman of Bankmed's Audit Committee and a member of the Remuneration Committee. Me. Yared, inter alia, is a Board Member of MedInvestment Bank, BankMed Suisse, T-Bank in Turkey, GroupMed International Holding Limited in Dubai. He also serves as a Board member at The Lebanese Company for the Development and Reconstruction of the Beirut Central District (Solidere) and Solidere International, Fradim (France), as well as Interaudi Bank (US), and Holcat sal (Lebanon). Me. Yared is also a Board member of the Ecole Supérieure des Affaires (ESA). Mrs. El-Hassan is a member of Bankmed’s Audit and the Remuneration Committees. She is a Board Member of MedInvestment Bank and Saudi Lebanese Bank. 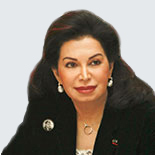 From November 2009 until June 2011, Mrs. El-Hassan served as the Minister of Finance in Lebanon. She is currently the Chairman-General Manager of Tripoli’s Special Economic Zone. Earlier in her career, Mrs. El-Hassan was an Advisor to the Minister of Economy and Trade. In the mid 90’s, she supervised the implementation of expenditure management reforms at the Ministry of Finance. Mrs. El-Hassan also served as Project Director at the Prime Minister’s Office, working on the elaboration of the Government’s Economic and Social Reform Agenda. Ms. Dabbagh is the Chairman of Bankmed’s Corporate Governance and Nomination Committee and a member of the Risk and Compliance and AML/CFT Committees. 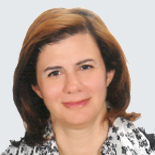 She is a consultant serving the banking and the banking supervision sectors in the Middle East, Turkey, and Africa. Ms. Dabbagh advises clients on risk management, strategic, governance, compliance, and regulatory issues. 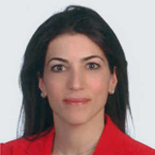 She has prior experience with the banking supervisory authority of Lebanon (Banking Control Commission). As Division Head for Offsite Supervision, she set up and developed monitoring systems and led the team in charge of monitoring all banks. Her responsibilities also included sector-level monitoring, advising on new regulations, and working on enhancing banks’ governance and risk management. Earlier, she worked with Citibank, with the Financial Institutions and Corporate Bank Groups. Ms. Dabbagh holds an MBA from Harvard Business School and is a Chartered Financial Analyst (CFA). Dr. Chahine is the Chairman of Bankmed’s Compliance and AML/CFT Committee and member of the Corporate Governance and Nomination Committee. 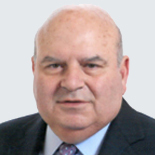 Dr. Chahine holds the Abdul Aziz Al-Sagar Endowed Chair Professor of Finance at the Olayan School of Business (OSB) -the American University of Beirut, at which he was the Interim Dean of OSB from Spring 2013 to end-2015. Dr. Chahine has been in academia for more than 20 years and has publications in world's top journals in business and finance. He started his career as an Assistant Chief Financial Officer in the Oil-Pipeline Industry in a large European MNC. Since then, Dr. Chahine has been an active advisor in the banking industry and has served as a consultant for a large number of corporations and governments in Europe, North Africa, and the GCC. Mr. Khoury is the Chairman of Bankmed's Remuneration Committee and is a member of the Risk, Corporate Governance and Nomination, and Compliance and AML/CFT Committees. Mr. Khoury is also a board member of Odeabank in Turkey and Sara Holding in Lebanon, and serves as an advisory Board Member to Fattal Holding in Lebanon. 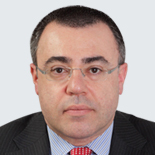 Earlier in his career, Mr. Khoury managed the equity research team at EFG-Hermes, a leading Cairo-based investment bank. 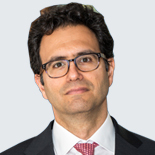 Prior to that, he worked at Merrill Lynch in London in the financial institutions Group, focusing on merger and acquisitions of financial institutions in Southern Europe and Emerging Markets. Mr. Khoury holds an undergraduate degree in Economics from Trinity College, Cambridge University and a Master’s Degree from the London School of Economics. Dr. Psaltis is the Chairman of Bankmed’s Risk Committee and member of the Corporate Governance and Nomination Committee. Dr. Psaltis is presently the General Manager and the Group Chief Financial Officer (CFO) of Alpha Bank, Athens. He has a wide range of responsibilities including Strategy, Finance, Capital Management, Relations with Regulatory Authorities, Investor Relations, Performance Management, Asset Liability Management. Prior to joining Alpha Bank in 2007, Dr. Psaltis has worked as Deputy Chief Financial Officer at Emporiki Bank and at ABN AMRO Bank’s Financial Institutions Group in London. He was born in Athens in 1968 and holds a Doctorate and a Masters in Business Administration from the University of St. Gallen in Switzerland, with a specialisation in Banking and Finance. 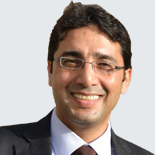 Mr. Asmar is a member of Bankmed’s Audit Committee and a permanent invitee to the Remuneration Committee. 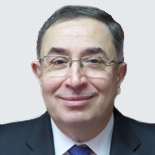 He is also the Chairman of GroupMed Insurance Brokers and GroupMed International Management Holding Limited and serves on the Boards of Saudi Lebanese Bank and MedInvestment Bank. From 2001 to 2004, Mr. Asmar served as General Manager-Logistics of Bankmed and from 2003 to 2004, as General Manager of MedInvestment Bank (formerly known as Banque de la Méditerranée and MIB respectively). Earlier in his career, Mr. Asmar held the position of Dean of the Faculty of Engineering at Saint Joseph University in Beirut, served as Chairman of the Board of Directors of Electricité du Liban and acted as Chairman General Manager of Berytech. GroupMed is the principal shareholder of Bankmed and one of the largest banking and financial groups in Lebanon, with a growing regional presence. The Board Committees include the: Audit Committee, Risk Committee, Remuneration Committee, Compliance and AML/CFT Committee, as well as Corporate Governance and Nomination Committee. The Audit Committee assists the Board in the proper discharge of its duties, especially those related to selecting and enhancing the qualifications and independence of external and internal auditors, fairness of the financial statements and related disclosures. This Committee is also entitled to ensure compliance with applicable laws and regulations. The Risk Committee assists the Board of Directors in fulfilling its tasks and supervisory role in properly applying the Bank's Risk Management framework as stipulated in the regulations issued by BDL and the Banking Control Commission of Lebanon (BCCL) Circulars. As per BDL Circular No. 133, the Bank established a Remuneration Committee for the purpose of setting the Remuneration Principles and standards for Bankmed’s staff of all levels. The Committee also oversees the proper implementation of both the Remuneration Principles and Remuneration framework. As per the amendments of BDL Circular No. 83, the Bank formed the Compliance and AML/CFT Board Committee to support the Board of Directors in its functions and supervisory role with respect to fighting money laundering and terrorist financing and understanding the related risks, and to assist it with making the appropriate decisions in this regard. The Bank also formed a Corporate Governance and Nomination Committee to oversee the governance of the Bank. The Board and its relevant Committees meet regularly with the Heads of Internal Audit, Risk and Financial Control to review policies and to ensure that control functions are properly staffed and that their responsibilities are carried out effectively. The Board, through its Committees and Senior Management, assesses the quality of Corporate Governance at the Bank on an ongoing basis. The assessment is based on the reviewed results of the activities at the Bank, completed by all control units and by the Bank’s independent examiners.